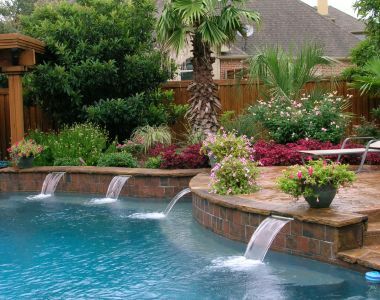 Landscape renovation projects range from the simple, such as updating an ornamental bed, to the elaborate, such as removing an existing pool or installing an outdoor kitchen or living area. Consider your budget before attempting any landscape renovation. Much like home renovations, landscape renovation pricing can vary from hundreds of dollars to thousands. Devising a well thought out plan, and sticking to it, will save you money. On the other hand, changing the project scope in mid-stream or making last-minute changes can greatly alter the budget and delay the landscape renovation project. Working with a knowledgeable and experienced landscape contactor, who has previous experience with landscape renovation, will make the process a snap. Make a self-assessment of your current landscape. Do you wish to dramatically change the look of the landscape, or simply spruce it up or expand the coverage? Consider your plants - How do they look? Are they healthy, vibrant and strong OR pale, splotchy-leafed, and spindly? Plants experience the same aging process as humans and as they grow old, will lose vigor, stamina, and be prone to disease. Review your landscape for any overgrown, aged, or problematic plants. 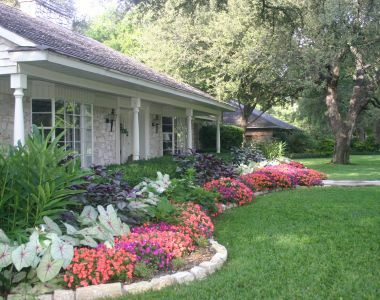 With a little update here and there, your landscape renovation project can yield great results. With your landscaper, conduct a thorough site analysis prior to construction. Assess for any drainage issues, soil troubles, or other problem areas. Are the plants in your beds overcrowded or under planted? Is that nandina pushing out your petunias? Are the maidenhair ferns longing for the companionship of some hostas? When was the last time the annuals and perennials were changed out? Check hardscapes such as stonework, water features, wood fencing, and decks. How long has it been since they were painted and repaired? New pathways - Do you use your landscape the same way you did fifteen years ago? Maybe some new paths need to be created or old ones removed. Browse YardHookup.com, magazines, and books for new landscape ideas, project portfolios, and renovation pricing. Review any potential contractors' project portfolios. Prior to hiring, request and check all references. Read the fine print and understand your contract along with any applicable warranties and required maintenance.